Here is a selection of the committee and board meetings for the week along with my selected highlights from the agendas. Unless otherwise noted these meetings are open to the public, so you’re welcome to stop on by. Note: If you are looking below for the anticipated February 5th Board of Selectmen meeting, you won’t find it. The BOS originally planned to hold a pre-Town Meeting run-through this Tuesday night with the Moderator. Town Administrator Mark Purple explained that they are currently looking for another night that works – likely next week. So, stay tuned for news on that. 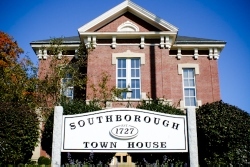 Economic Development Committee, 7:00 pm @ Hearing Room, Town House, 17 Common St (no agenda posted yet) Agenda Highlights: The EDC has invited the public to a forum on its Downtown Initiative Plan with a presentation on the recommendations from ULI’s report. Click here for details. Updated (2/4/19 12:00 pm): I didn’t initially share a meeting for the EDC, since no agenda is posted yet. But, working on my “events” highlights for this week reminded me that the committee is holding a public forum on Thursday night.